Sherry Mosley, MSOM, CSP is an emerging practitioner, teacher and author of alternative health and spirituality. Sherry’s first book “Akashic Enlightenment, Akashic Records & Book of Truth for Divine Knowledge, Healing, & Ascension: A Tale and Gateway to the Cosmic Laws and Produciaries of Love and Light as seen in the Great Elohim” as requested by her own guides to be made accessible to the masses is now available in ebook form and print version out this Spring 2018. Sherry is a San Francisco California native. She comes from a long line of intuitive healers and medicine women on her birth mother’s side. She is an empath who is also a clairvoyant, clairaudient and clairsentient. Sherry was raised and educated in a hippie religious Free Masonry/Rosicrucian/Christ Consciousness alternative community called the Holy Order of MANS (Mysterion, Agape, Nous, Sophia) in San Francisco in the early 1980s. At their St. Michael’s school, similar to many Waldorf schools, she was exposed to being a humanitarian, where the inclusion of Saints, Angels, God/Source and spirit were in daily life as well as exposure to nature and living with the seasons, different cultures, art and thinking outside of the box were all part her life there. She felt a calling to the spiritual and healing path as well when she was younger and she struggled with her own psychic abilities attempting for a long time to ignore them, but to no avail. Upon surrender during her own Saturn’s Return the path unfolded. Since then she has received her Masters of Science in Oriental Medicine from Acupuncture and Integrative Medicine College, certifications from the Foundation for Shamanic Studies, intensely studied the Akashic Records, and is a trained Usui Shiki Ryoho Reiki Master and an attuned Arcturian Healing Method Practitioner. In March of 2016 she was given Akashic Enlightenment and guided to share it and teach it. In her private practice in Sausalito California she utilizes the healing modalities of ancient shamanic acupoint therapy, moxabustion, Chinese herbal medicine, nutrition and lifestyle counseling, Shamanic Healing and Counseling, Reiki, Akashic Enlightenment Akashic Record readings and energy healing, Arcturian Healing Method, and Light Language wisdom, healing and cellular Ascension upgrades. All of these modalities manifest into her various treatments in one way or another as seen fit by spirit and Source as she works in service of the Divine as a conduit of healing and white light here to help those who seek her out in search of their own healing and consciousness ascension. 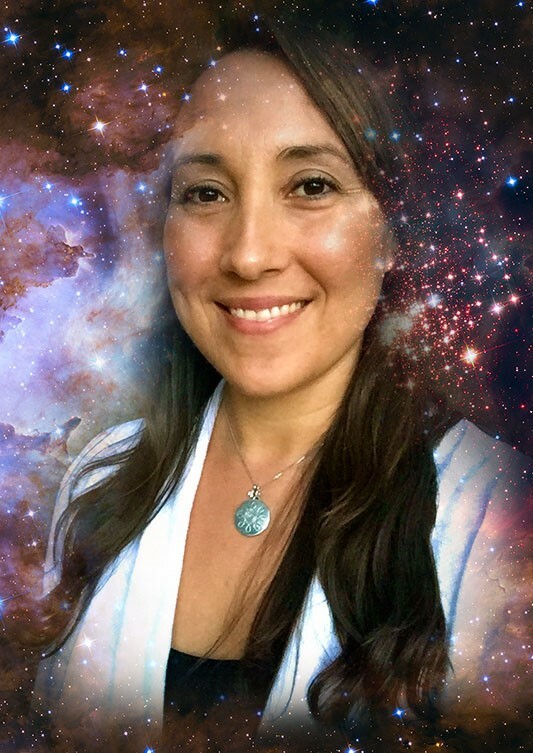 For those interested in being assisted in pursuing their own connection to the Divine and their own higher selves, she teaches shamanic journeying using drumming, Akashic Enlightenment classes and Akashic Aura Attunements for Light Language as well as personal readings for your Ascension process and more. May your journey be a blessed one.